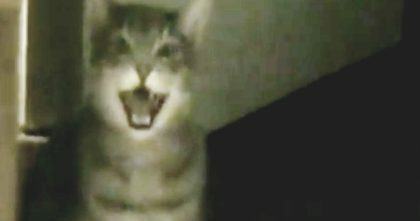 Impatient Cat Bites His Humans Hand, But Just Listen… OMG, I’ve Never Seen/Heard A Cat Do This?! Oh my goodness, this cat VERY impatient! When this cat demands treats, he even bites his humans hand and moves it to where it needs to be placed to open the treat box! For those who may be wondering, this cat is well fed, but anytime this cat gets hungry sooner than normal snack time, he screams at his owner for some food as you will see in the video below! 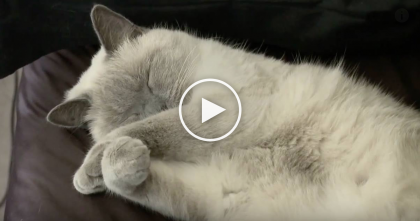 It sounds scary, but its the way this cat talks with his human even though it may seem strange! Just watch! 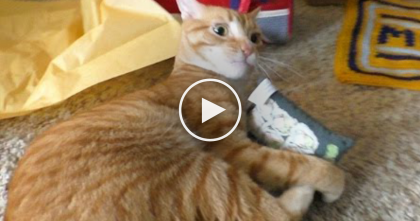 I’ve NEVER heard a cat like this and NEVER seen a cat doing this—SHARE this video with your friends!! 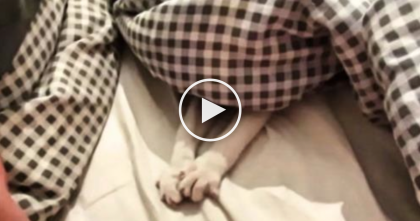 This Kitten And Owner Play A Game Of ‘Paws And Blankets’… Just WATCH. 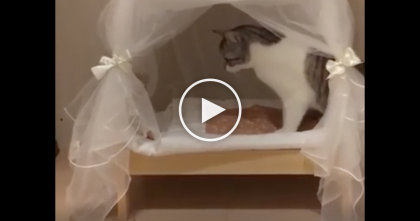 Cat Discovers His New Bed, But Just Watch His Reaction… This Is The CUTEST Idea Ever? !